The grain elevator at Superb, Saskatchewan. Copyright by Gary Rich. 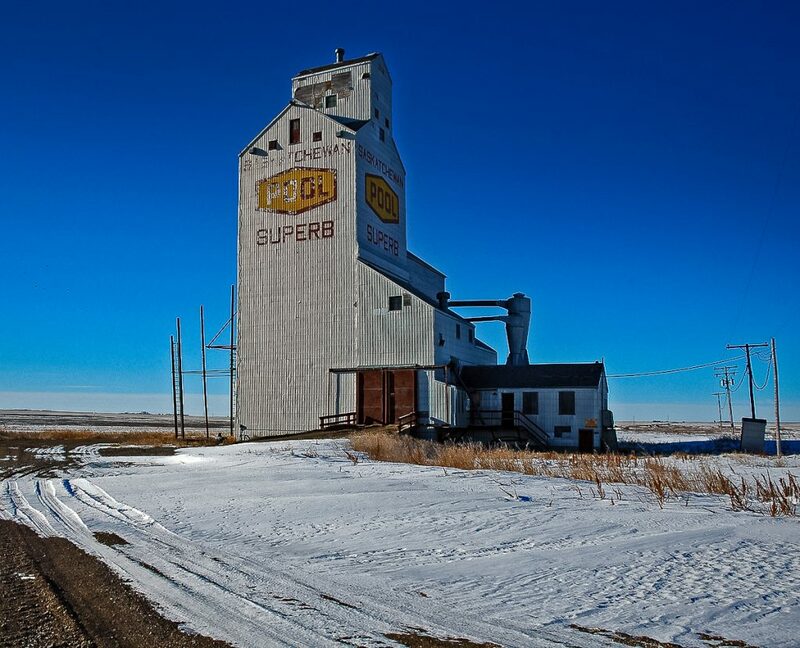 The grain elevator in Superb, Saskatchewan is practically the only building left in this prairie town. 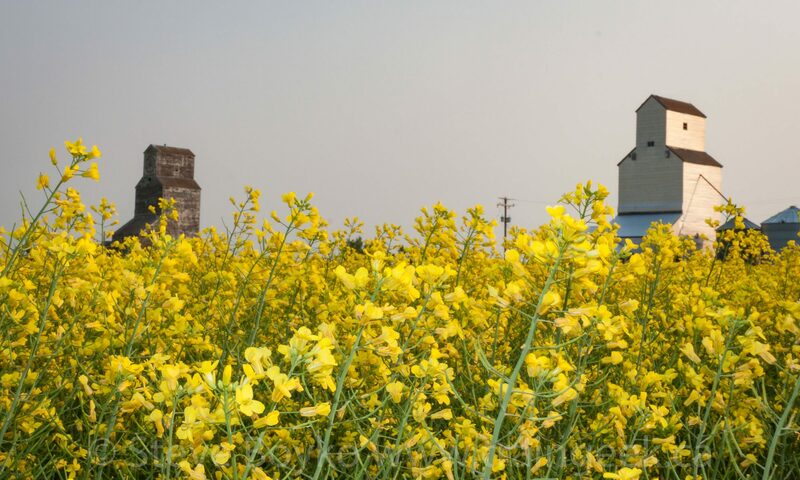 In this aerial image from the 1950s, it appears that there were two grain elevators in the town, as well as a fairly substantial train station. 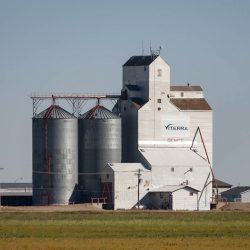 Superb is located close to the Alberta border, on highway 51 west of Kerrobert, SK.